Clifford Edwards is author of the powerful new book, The Forgiveness Handbook – A Simple Guide to Freedom of the Mind and Heart. He is a professional coach, consultant, trainer and mentor, influential in the realms of coaching and personal development for over fifteen years. 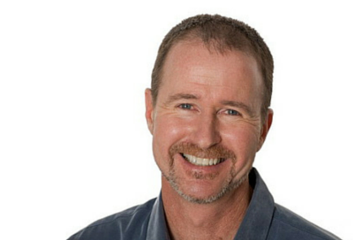 Cliff is the co-founder of the Ford Institute for Integrative Coaching, with best-selling author and transformational leader Debbie Ford. From 2001 to 2011, he served as the Director of Training and Programs for the Institute, taking charge of all programs and curriculum, and accountable for the successful training of nearly 1000, skilled Integrative life coaches worldwide. With a knack for structure, he delights in breaking complex concepts into easily digestible chunks. Cliff has developed over a dozen innovative, transformational coaching models and class series – each one constructed as a step-by-step process leading to life-changing results. The processes are now used by hundreds of coaches around the world, transforming the lives of thousands of clients each year. Cliff entered the world of professional coaching before most people had even heard of it. In the early 1990’s he founded and operated a successful litigation support business, serving large corporate clients. A few years later, with the business landscape shifting, he hired a professional coach to help gain clarity about the situation and decide what to do next. During the first session, a light went on as Cliff found he resonated deeply with the principles and process of coaching. Ready for a change, he chose to leave the combative domain of lawyers and corporate litigation to become a professional coach. He now serves as a powerful positive influence in the lives of others. For clients and students, Cliff provides life-changing perspectives, effective structures, supports clear, definitive actions and delivers breakthrough results. He is committed to the life-long process of self-discovery and is seen as an example of what’s possible through continuing to stretch outside of the confines of past thoughts and beliefs. Cliff was diagnosed with a stage 4, non-Hodgkins Lymphoma in 2011. As a result, he recognized the need for true forgiveness of self and others as a means for emotionally detoxifying and de-stressing to aid his healing process. Combining the benefits of forgiveness with clinical trial chemotherapy and additional complementary treatment, resulted in the happy outcome of “complete remission” in 2014! Due to that experience, Cliff now focuses on teaching and promoting forgiveness and emotional education. With confidence, deep insight and a lighthearted approach, he guides others to change their thinking and easily let go of the resentments, anger, regret, shame and judgments of the past. The result is greatly reduced stress, a more peaceful mind and greater clarity, freedom and success in the present and future. He and his forgiveness work have been featured multiple times in radio, print and other media. Clifford Edwards lives in San Diego, California, where he enjoys an active life in the year-round sunshine. He shares a home with his wife Loree and warrior princess cat, Athena.